This trek offers challenging and adventurous trekking around Annapurna peaks with an ascent of a technically straightforward peak, Chulu East at 6200 meter. The summit of Chulu East provides the most breathtaking views of Annapurnas II, III and IV, Gangapurna, Glacier Dome, Dhaulagiri , Tilicho Peak and Manaslu. We start the trek from Besi Sahar after a 6-7 hrs drive from Kathmandu . The trail ascends gradually along the Marshyangdi river valley and eventually leads to the village of Pisang where we leave the main trail and head up the Chulu East base camp. Fully physically fit and acclimatized, we then attempt Chulu east. Following an ascent, we rejoin the main trail and head towards Kali Gandaki valley crossing a high Thorung La pass at 5416 meter. Thereafter, we make final descent to Jomsom and take a flight to Kathmandu via Pokhara. The trek provides a great range of landscapes and cultures as we progress from terraced rice fields of Besi Sahar to lush green foothills through alpine forests and barren arid region of the Manang Valley . Along the trekking trail as we walk past fascinating villages, we witness varied cultural settings and ethnic diversity. 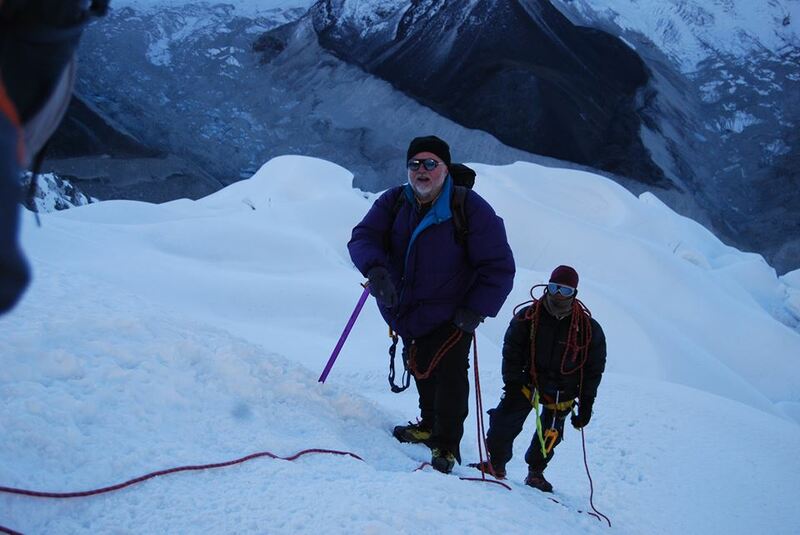 Most of the climbing will involve walking roped together, including a glacier crossing. Any physically fit individual can undertake this trip anytime in March to May and September to November.